Is Upgrading to Smart Devices in Your Provo Single-Family Rentals Worth It? The free-standing rental home market is handling many reforms, most of which is being dictated by long-term renters. Like many people, from millennials to seniors, find themselves not able to or not willing to purchase a home nationwide, large numbers are turning to long-term rentals instead. Accordingly, renters at present time have lots of presumptions about the classes of smart technology they will get in a stand-alone rental house. A number of renters may prefer a lot of smart devices equipped by their landlord, from high-speed internet to smart thermostats to security systems. But is it worth upgrading your Provo rental property to captivate these tenants? The resolution to this concern will rest upon certain attributes, from the neighborhood where your rental property is found to the profits you hope to get back on your upfront investment in this. Smart devices have the potential to make a rental home more efficient, more secure, and more convenient. Rental houses that are smart technology-ready may appeal to a certain percentage of prospective tenants. As an instance, a smart thermostat can make managing heating and cooling costs much easier, reducing wear and tear on air conditioning units and furnaces as well as lowering utility bills. Adding sensors and cameras to doors and windows can be plausible in distinct localities where there is an idea of crime as an obstacle, offering a clear sense of safety that might allure renters who would, on the contrary, be unattracted to the vicinity. Smart locks can make it easy to enter your rental homes and allow a secure transaction for new tenants. No more changing the locks or emergency calls to a locksmith; you can simply change an access code to control who has access and who doesn’t. If your rental home is in a locality where a vast number of tenants work or go to school, it might be a good idea to upgrade. A rental home with smart devices may get more prospective renters in these locations, and you can sensibly increase the total amount of rent to meet any upfront expenditures. Granted that smart devices impart plenty of advantages to rental property owners and renters, there are several probable obstacles too. Most likely the top snag property owners meet when deciding upon a smart device upgrade is the costs. 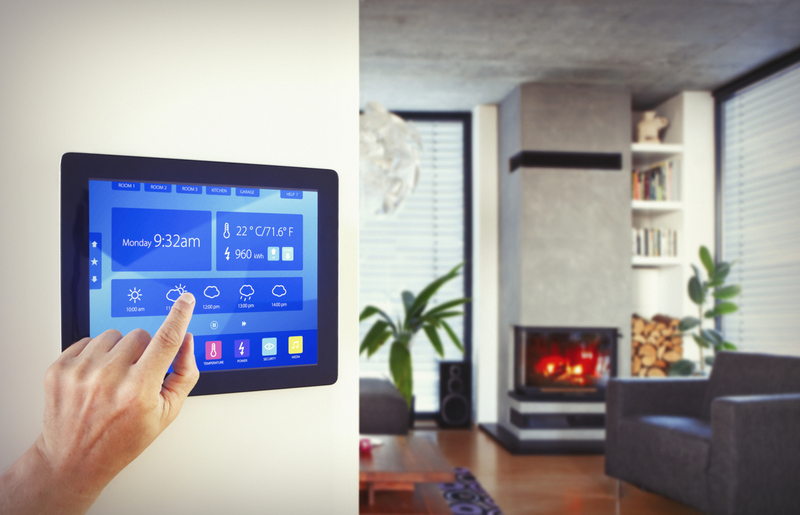 Most smart home technology devices aren’t overly expensive by themselves, but the price tag does increase enough a rental home’s cost that it is necessary to really assess carefully before you do decide to do it. Many devices work as a coordinated system, meaning you might not be able to do the job one upgrade at a time. Added to this, not all areas will give support to the increase in rent you would surely ask to get back your costs, so really knowing your particular market for each and every rental home is necessary. A second problem is the quality of the Wi-Fi in your area, and administrative access, which you will need to carry on. Many smart devices rely on wireless internet to function, and so if the signal is weak or drops, it may seriously interfere with the functioning of any smart device. In places where geography or distance set off connectivity problems, smart devices just might not run as disclosed and end up being a steep oversight. Despite that many renters are interested in smart home technologies, such aspects may actually displease other renters due to security concerns. Many are suspicious of automation, we’ve all heard our share of horror stories referring to digital devices being hacked and our personal privacy penetrated. While these situations are rare, some expected renters may not be able to stop their concerns and turn to look elsewhere. Conclusively, it is up to each Provo property owner to come to a decision whether to refurbish their rental homes to encompass smart devices and if it is worth the financial investment. Such consideration must add in good market data and detailed knowledge of a rental home’s area, both of which we at Real Property Management Utah County can provide. With our experience and data tools, we can help you get which, if any, smart devices would be money being spent well on your rental homes. If you still have questions or want to know more about Real Property Management Utah County, contact us online or by phone at 801-224-0033 today.